You may have heard that a chapter in my new book, Joyful Stitching, went missing. For those of us who are fond of mystery novels, I’m pretty sure it was kidnapped. (Still awaiting ransom note.) The missing chapter called Combinations Rock! covered how combining two or more embroidery stitches added texture, pattern, and shapes to fabric. And talk about texture! The French Knot is famous for its bulky texture. But combine it with the Bullion Knot, and your thread leaps off the fabric. 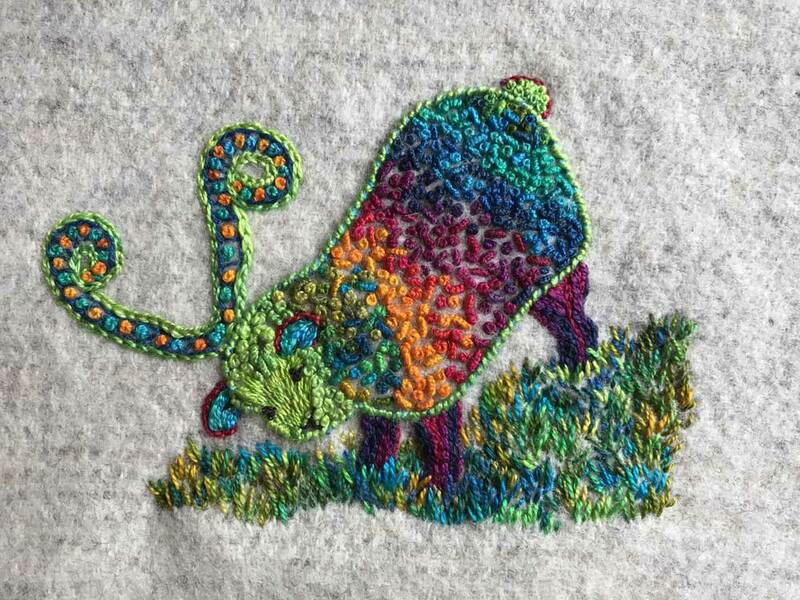 In Dyed in the Wool #1, the stitch combination of French and Bullion Knots give the sheep a curly fleece you just want to pet. This entry was posted in embroidery, free form embroidery, Joyful Stitching book, stitching by Laura. Bookmark the permalink.